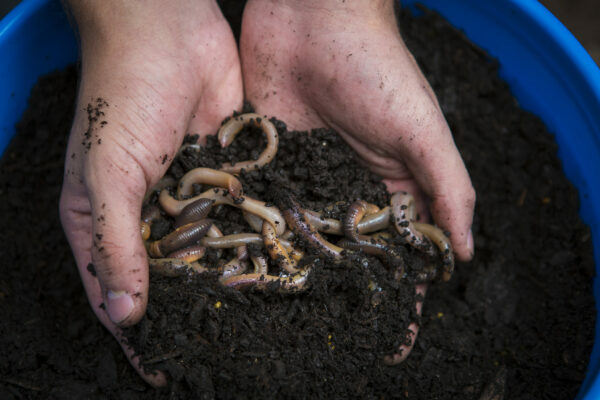 Nightcrawlers are a type of earthworms that got their name due to their activity above on the ground during nighttime. There are three main types of nightcrawlers – European, African and Canadian nightcrawlers. They have similar characteristics, but there are a few things that make them special too besides the fact that they live in different areas. The Canadian nightcrawler is one of the most popular live fishing bait options used by both professional and recreational fishermen. Canadian nightcrawlers (Lumbricus Terrestris) are earthworms that live in Canada. They are also known as Granddaddy Earthworms or Dew Worms. This is also one of the largest species of earthworms that often reach up to 30 cm in length. (1) The Canadian nightcrawler is an anecic worm that can be found in different areas. Even though it usually dwells in agricultural soils and gardens, it is found in forests and even in meadows too. When they are found on the ground during nighttime, they are usually copulating. As previously mentioned, Canadian nightcrawlers are used as live fishing bait in North America for decades now. What makes this live fishing bait special is the fact that it can be used for many different species of fish starting from bass (both small and large mouth) and walleye to trout. Another great thing about Canadian nightcrawlers is that these earthworms can be preserved for a long time when they are kept at temperatures between 35 and 48 degrees. In case you want to keep them for more than 15 days, it is the best idea to keep them in a fridge. (2) So, generally speaking, we are talking about a tough bait that is definitely worth the money. 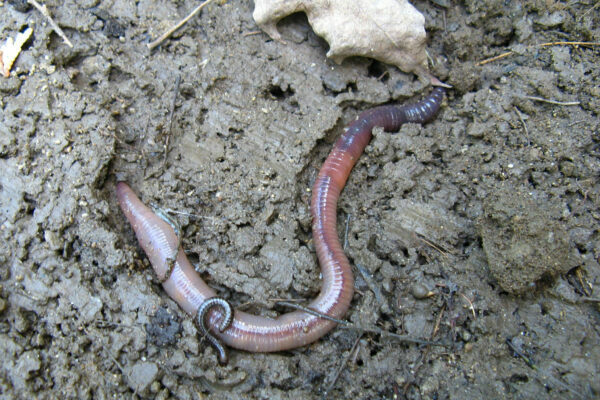 Canadian nightcrawlers are significantly fatter and larger than other earthworms. They are an excellent source of protein and other nutrients that fish need and that’s why they can’t resist eating them. On top of that, this specific kind of nightcrawlers is constantly twisting making it impossible for fish to miss them. As we all know, they are attracted by such movements. If you want to improve your results, you should follow some tips. First of all, make sure that the nightcrawlers are lively. Although they are resistant to relatively high temperature if you want to keep the lively and vibrant keep these worms in a dark, cool and damp environment. While it is true that creating so-called worm balls made of parts of the worm, it is also true that keeping Canadian nightcrawlers in their natural form is even more efficient. Many experienced anglers can confirm this. Fish are intelligent animals and they prefer food that looks completely natural. Finally, the previous tip doesn’t mean that you can’t downsize the nightcrawler. On the contrary, feel free to cut it in half if it is too big. You can also use much smaller hooks too. The main point it is to keep it wiggling and twisting. Without any doubt, Canadian nightcrawlers are very efficient fishing bait. This entry was posted in About Bait and tagged canadian nightcrawlers, earthworms, live bait, lumbricus terrestris, nightcrawlers, worms, worms for fishing, worms for sale. Raising Canadian Nightcrawlers is very difficult because the reproduce very slowly. Most worms that are raised sexually mature in 90-120 days. Canadian Nightcrawlers take 18 months to sexually mature because they are a cold weather worm. Also they grow so slowly because of this. bestbait on Live Bait Fishing vs Artificial Lures: Which Will Increase Your Catch? Mammothleathers on Live Bait Fishing vs Artificial Lures: Which Will Increase Your Catch?